Join us for an evening of theatre and dinner in The Ox Barn. A modern take on an ancient myth. A toe tapping evening…..looking for something a bit different…then this is it! The Flanagan Collective (they’ve performed at The Ox before) and Gobbledigook Theatre weave a world of dive bars, side streets and ancient gods. 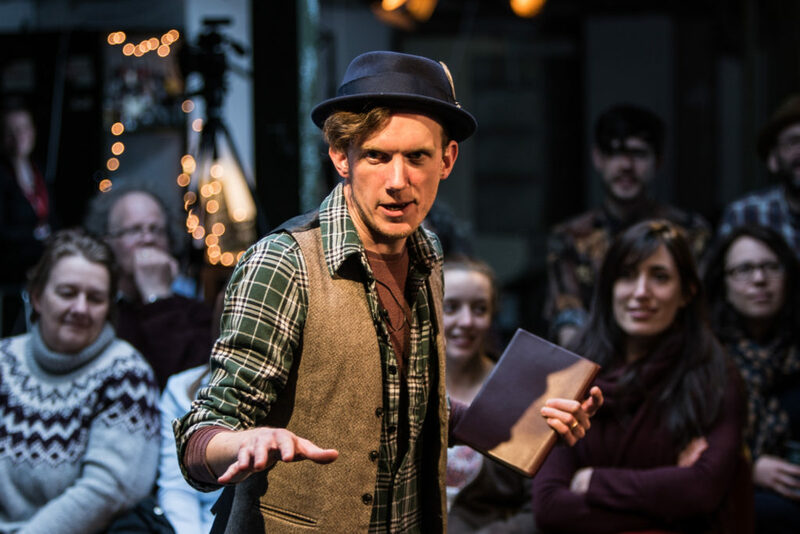 A tale of impossible, death-defying love told through hair-raising spoken word and soaring soul music….Dave is single and turning 30. He’s stood at the bar. Eurydice is a tree nymph. And Bruce Springsteen is on the juke box. 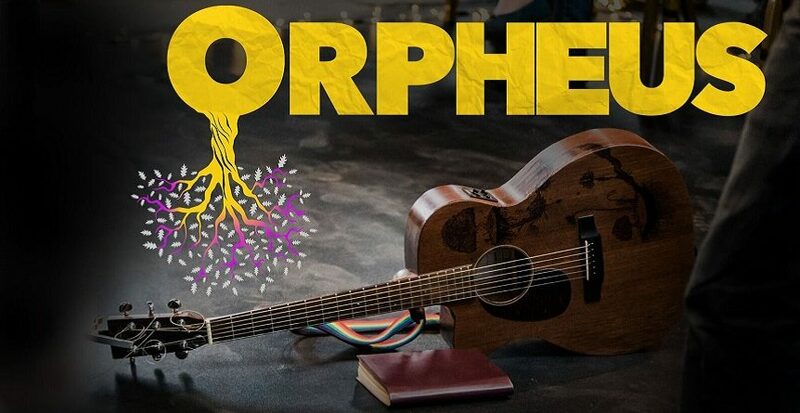 They’ll be fresh back from their tour of Australia, New Zealand and Bali…..Alexander Wright & Phil Grainger’s internationally award winning retelling of Orpheus, an ancient myth comes to Crayke. For outtakes from the recent tour visit The Durham Ox Facebook Events Page. 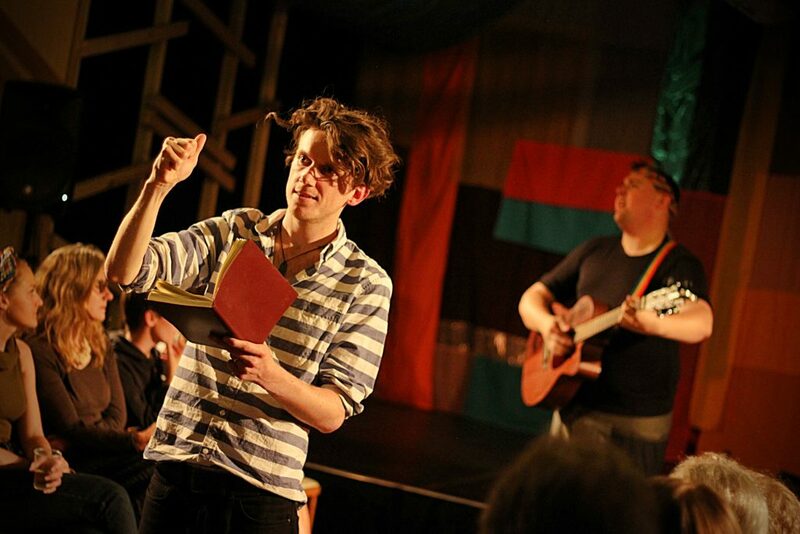 ‘Orpheus is a hymn to love wrapped in a magical, heart-pounding piece of high-stakes theatre’ – York Press. Tickets: £39.95 includes theatre & 2 course dinner & coffee. Tickets must be purchased in advance of the evening. You can book online or call us: 01347 821506. Should you wish to stay the night, ask us about our theatre package.